Being that Hoi An is geared toward tourism, getting a feel for how the locals live isn’t as easy as in other parts of Vietnam. That being said, finding local Hoi An, Vietnam experiences can be achieved by simply getting out of the resorts, off the main shopping streets and into the neighborhoods. 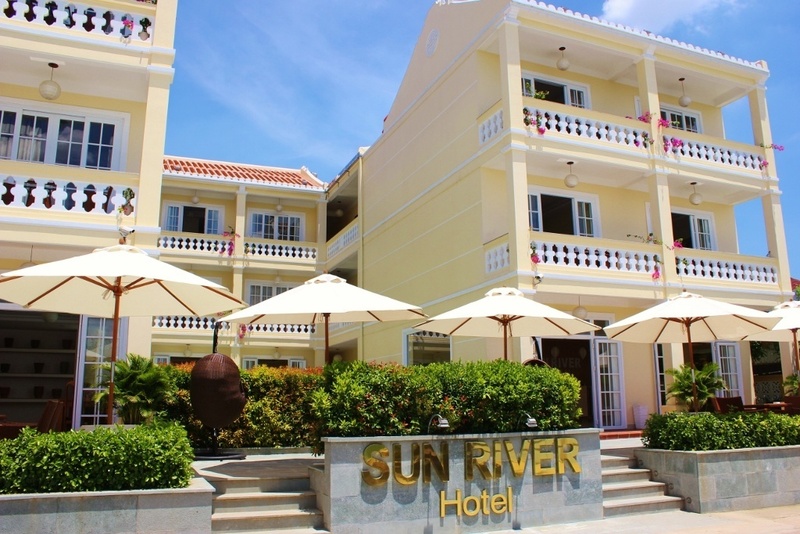 There is no shortage of places to stay in Hoi An – from luxury beach resorts to center of town homestays – and there are a variety of price ranges to match. Both ends of that spectrum were a little too much for us, so we settled in the middle with a six night stay at a brand new, mid-range hotel on the outskirts of town, Sun River. It had all the amenities of a contemporary resort, but was nestled in a neighborhood right on the river. 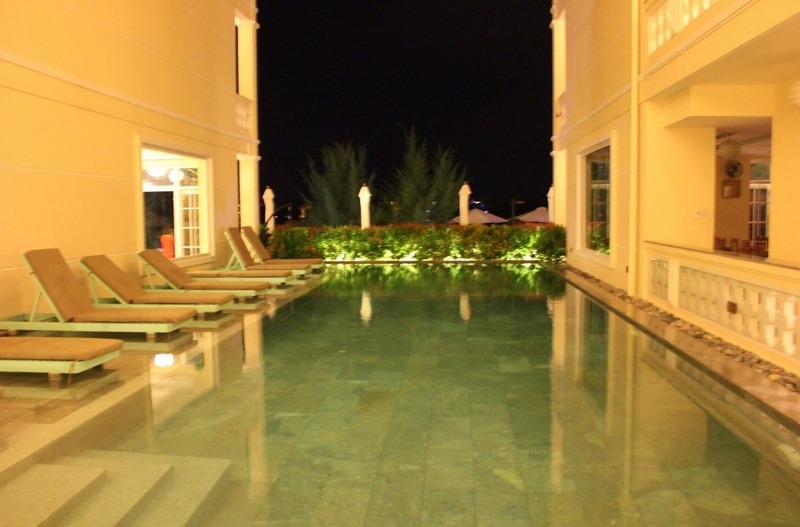 Actually, it might just be the nicest place we’ll stay in Vietnam. It featured soft (as in not rock-hard) beds, a balcony that overlooked the river, free bicycle use, an included, all-you-can-eat, made-to-order breakfast and the surprisingly refreshing swimming pool, which is wonderful after spending the day wandering around town. 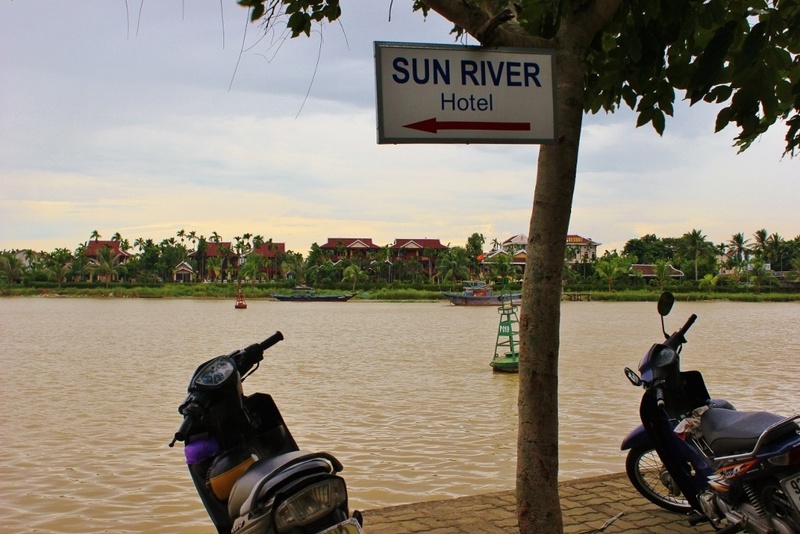 However, more than the hotel amenities, we enjoyed the neighborhood setting that substantially increased our local Hoi An, Vietnam experience. Our twenty minute walk into town along the river took us past numerous houses and local restaurants – most of which didn’t have menus in English and only one or two English-speaking people on staff. We let the waitstaff guide us in ordering local specialties (the only downside being I can’t relay the names of the delicious dishes I tried!). When a recommended beef dish arrived at our table, our waitress patiently showed us how to properly consume it. Once, we were brought a special dessert, not on the menu. It was an apple-like fruit (but it had a pit instead of a core) that we dipped into a mixture of spices including salt, pepper and red pepper flakes. It was so simple, yet like nothing else I had tried before – and a fantastic match to our rich, meaty lunch. On another occasion at one of the local-no-English-menu spots, I managed to request the day’s fresh fish. What I got was an inch-thick, juicy tuna steak baked in a banana leaf with garlic, tomato and other spices that was just $4 (and made its way into my Top 10 Best Fresh Caught Fish Dish list). 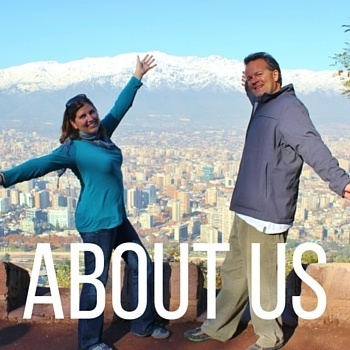 Multiple times a day, we walk from the hotel to the city center and the restaurant wait staff, owners and neighbors all smile, wave and say hello as we pass by. One man even invited us inside his home when we got caught in a short rain storm. On the river, fisherman are busy throughout the day, putting out nets and then gathering them in the evening. At night the crews eat together on their boats and toss back a few beers. Immediately to either side of our hotel are local homes. The owners of both the homes have taken advantage of their new neighbor’s frequent visitors. The house on the right is Mrs. Ha’s house. When the hotel opened, she siezed the opportunity for a new business and now runs a pop-up sidewalk convenience store. 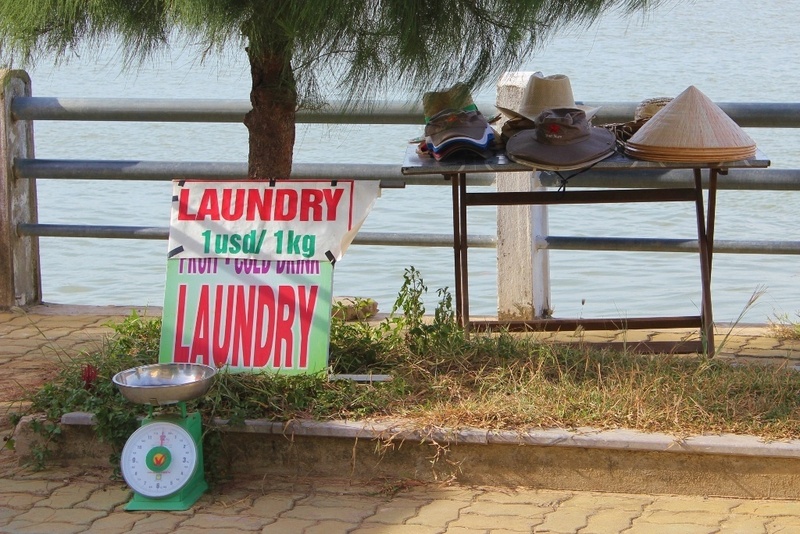 She also arranges tours through her friends and hand-washes laundry for a mere $1 per kilo. Early every morning she pushes her cart from her house directly across the street. She then lugs out her goods – like sunscreen and Pringles – and places them into the glass case. She fills her cooler with ice blocks and canned drinks. Each night she takes it all back inside her home. Whenever we come and go from the hotel, she is the first to greet us and her bright smile is infectious. She sells beer and water at half the price of the hotel, just 75 cents, and lets us sit at her table on the water’s edge where we can catch a late afternoon breeze and lovely sunsets. She would chat with us for a bit, but then laughing would excuse herself to get back to work. Always busy. Always smiling. 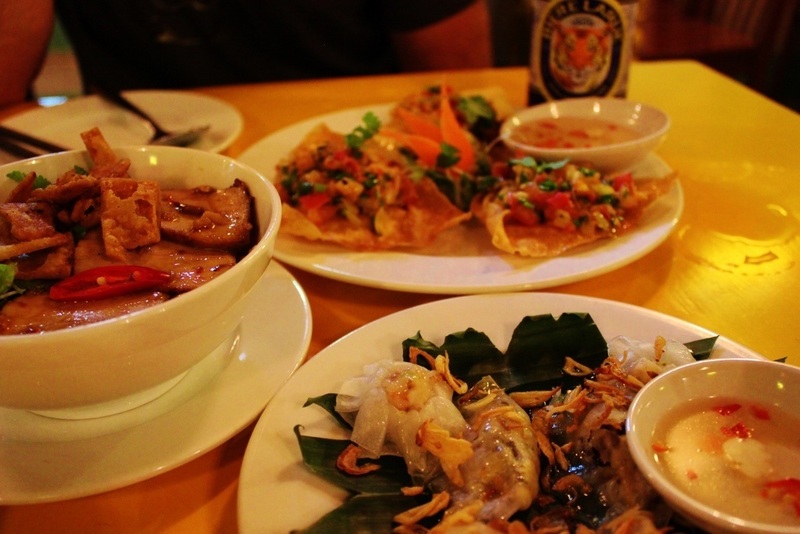 There are numerous restaurant options in Hoi An and, just like with the hotels, they range from corner street Pho consumed on plastic stools to pricy cuisine in formal settings. Again, finding the middle of the road, we preferred the restaurants that prepared food using generation-old recipes and in the traditional style – even if the clientele was made up completely of tourists. One such restaurant in Hoi An is Mermaids. It highly recommended in Lonely Planet, which can often deter us, as the quality of food and service sometimes diminish after being rated in such a popular guide book. However, at Mermaids, the food was fresh from market and better than promised. 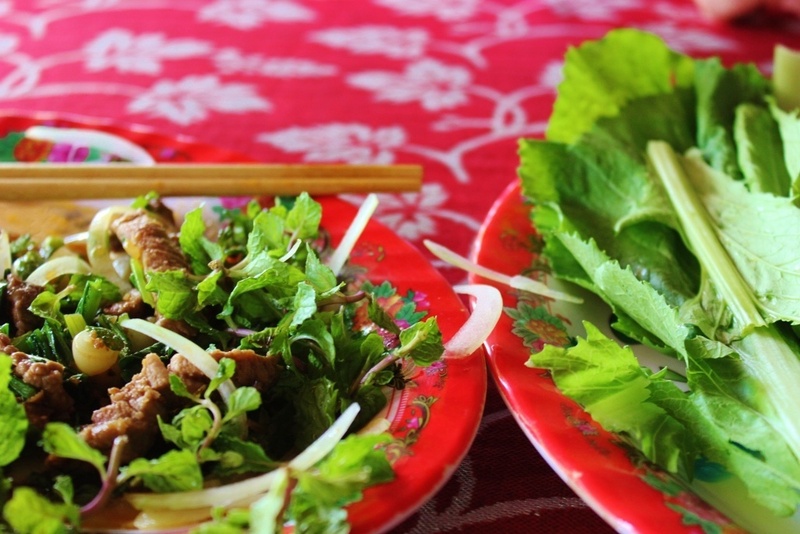 The owner, Ms. Vy, learned to cook in her parent’s kitchen and now has several restaurants – including Morning Glory, where we also ate – where she is intent on keeping the street food culture of Hoi An alive and well. Although, perhaps, not what some would consider a local Hoi An, Vietnam experience, nothing in any of these restaurants disappoints. 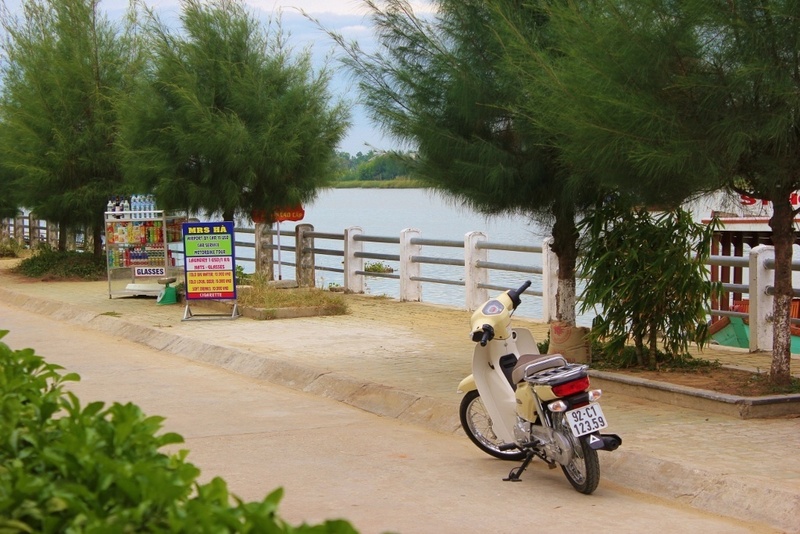 Although Hoi An is a place geared toward tourists, local can be found almost everywhere. There are no big chains and the town has retained a sense of charm with each store, restaurant and corner pop-up shop locally owned. We’ve made an effort to connect with the local people and we have felt compelled to buy from those we’ve formed a relationship with. 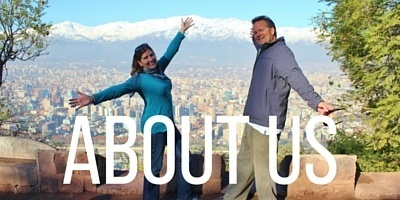 We feel a level of homey comfort that is sometimes difficult to achieve when traveling. 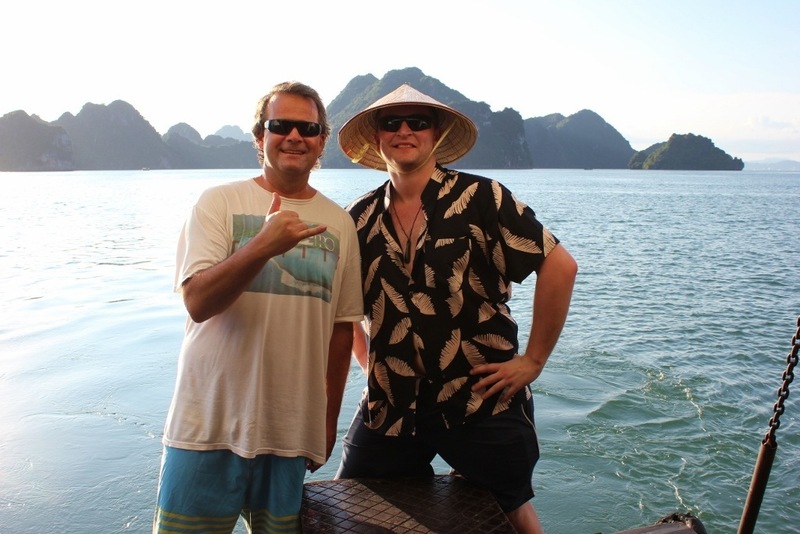 During our time in Hoi An, we joined up with a couple that we met while on our Halong Bay cruise. 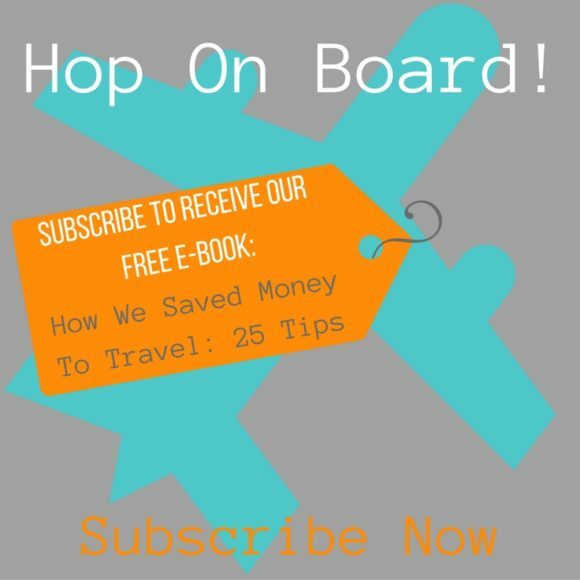 Whether we were meeting for drinks, meals, shopping or day trips, we pooled our resources. 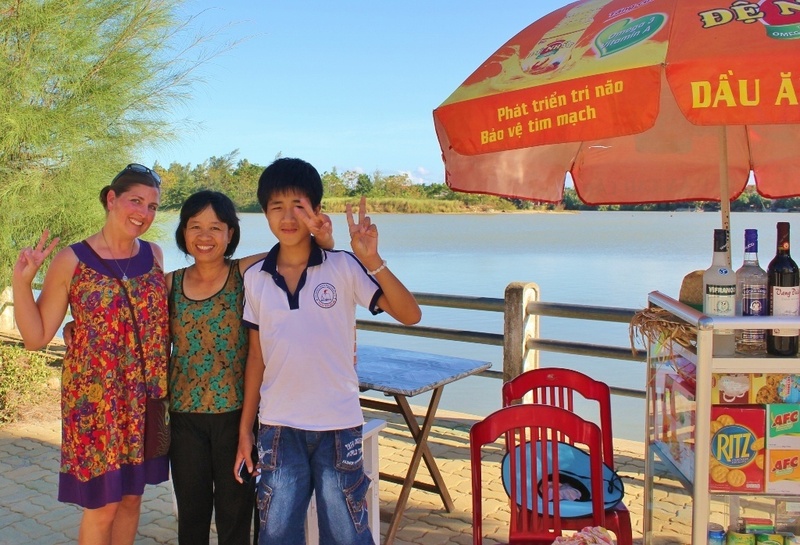 Through them, we were able to glean other tips regarding local Hoi An, Vietnam experiences. 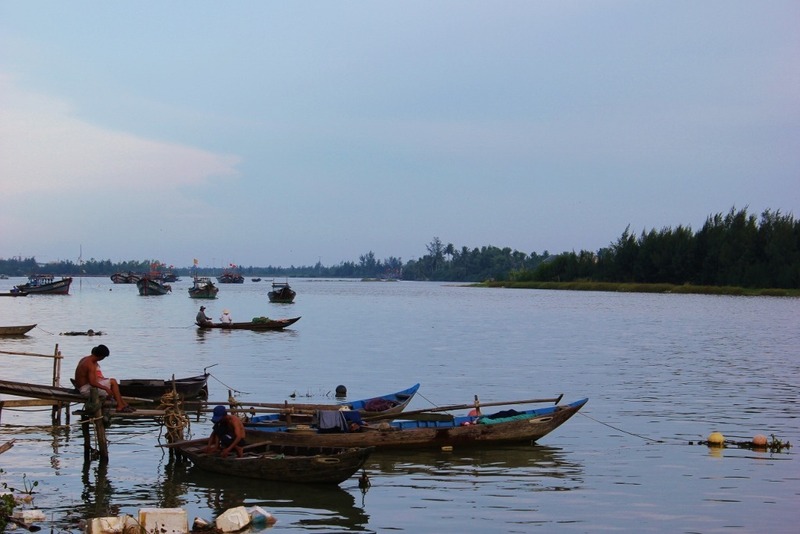 We want to know: Have you been to Hoi An? 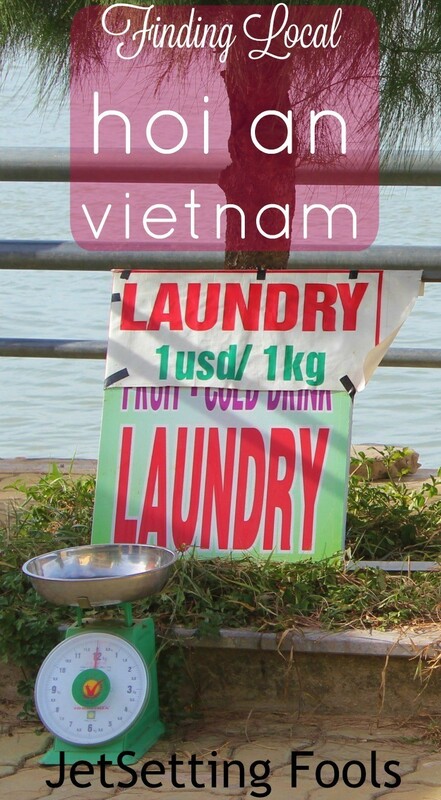 What local Hoi An, Vietnam experiences did you find?